Here at McAuliffe Chiropractic, we proudly call ourselves “the family chiropractors,” because we truly take a family-style approach to treating our patients. 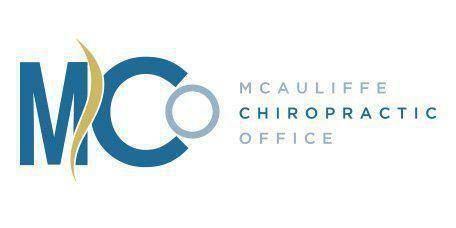 When you visit our Laurel, MD office, one of our three McAuliffe chiropractors will be there to help you get the care you need. A subluxation is a misalignment of the spine that causes nerve pressure. Misaligned vertebrae in the back (the lumbar vertebrae) or in the neck (the cervical vertebrae) can be the cause of a number of different health issues, beyond just back pain and headaches. Many times, a subluxation has been present for a long time before we start having symptoms such as pain, sickness or disease. The only way to fix a subluxation is through a chiropractic adjustment. Why do Spinal Misalignments Happen? Subluxations or spinal misalignments can come from physical, emotional or chemical causes. Auto accidents, slips and falls, poor posture or repetitive motions are all physical causes while stress can be an emotional cause of subluxations. Your lifestyle choices include drugs, alcohol and a poor diet can also be chemical causes of subluxations. What is the Appropriate Age Range For Chiropractic Care? From newborn infants to seniors, middle-aged desk-jockeys to professional athletes, chiropractic care is truly for everyone. Here at McAuliffe Chiropractic, we believe that the entire family should be taking care of their spine and nervous system so they can be as healthy as possible. This is why we specialize in providing quality chiropractic care for infants, children, teens, adults, pregnant women, geriatric patients and everyone in between. Whether you are one day or 100 years old, you deserve to be at your healthiest. Quality chiropractic care is your foundation for health.